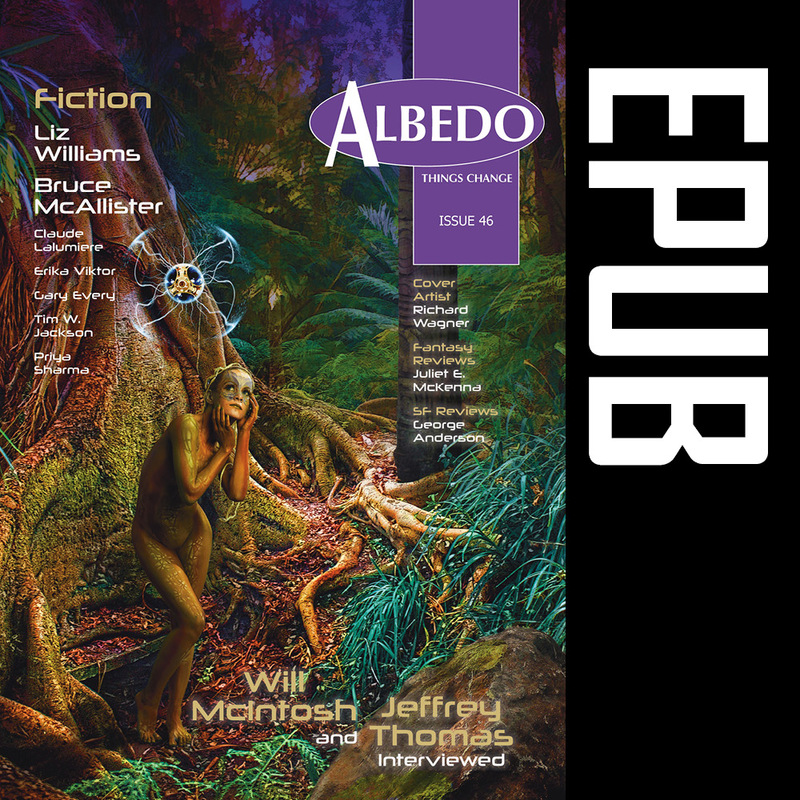 Albedo One, issue 46. 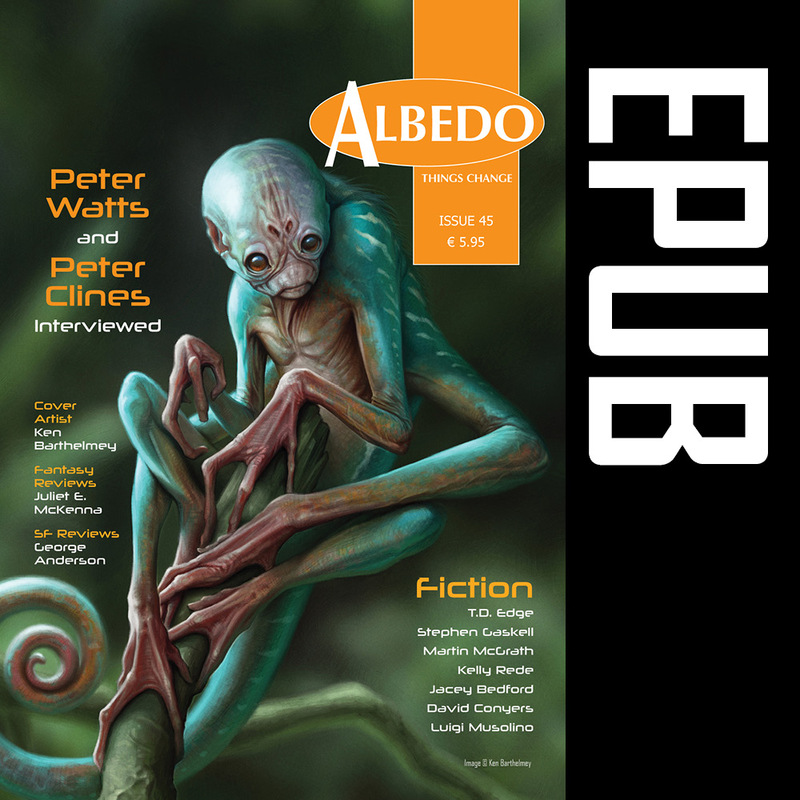 This issue features a tremendous line-up of new fiction from Liz Williams,Bruce McAllister, Claude Lalumiere, Erika Viktor,Gary Every, Tim W. Jackson and Priya Sharma, names with whom our readers will be readily familiar. 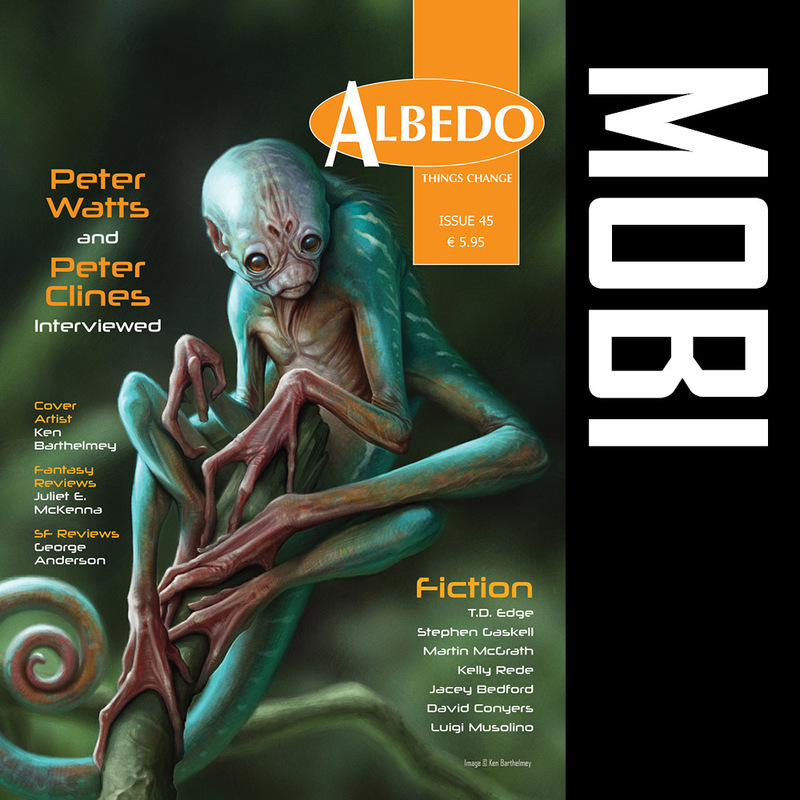 Also featured is an in-depth interview with Hugo Award-winning hard science fiction author Will McIntosh, and past fiction contributor to Albedo One, as well as an interview with horror authorJeffrey Thomas, wonderful cover art by Albedo One stalwart Richard Wagner, and reviews columns from Juliet E. McKenna and George Anderson. 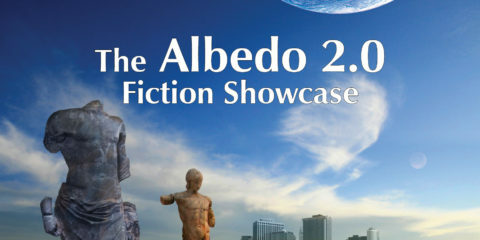 Buy it here in ebook (.mobi) format for Kindle for only 2.99 euro and support Ireland’s leading magazine of science fiction, fantasy and horror.